ALIAS Technology provides forensic linguistics consulting to attorneys, law enforcement, human resources and security teams. We support civil and criminal investigations for plaintiff, prosecutor and defense attorneys. We work with Federal, State and local law enforcement agencies during investigation. We provide analysis concerning human resources, security, reputation management, and insider threat in multi-national corporations, small businesses and sole proprietorships. Testimony from ALIAS Technology has a strong track record of being admitted as scientific evidence in US Courts; ALIAS Technology methods have also been presented successfully in Canada, Australia and Europe. the possibility of expert testimony at Daubert or Frye hearings and at trial. ALIAS Technology licenses our software ALIAS:Automated Linguistic Identification and Assessment System to law enforcement, investigators, crime laboratories, human resources departments, security teams and linguists. Users access ALIAS on a secure, encrypted server through a web browser. ALIAS data is encrypted at rest and in transit, to meet US DOD requirements. ALIAS data belongs to the user and can only be accessed by the user or user agency team, to meet data privacy requirements in Europe and chain of custody requirements in the USA. proactive investigations to protect intellectual property or classified information. 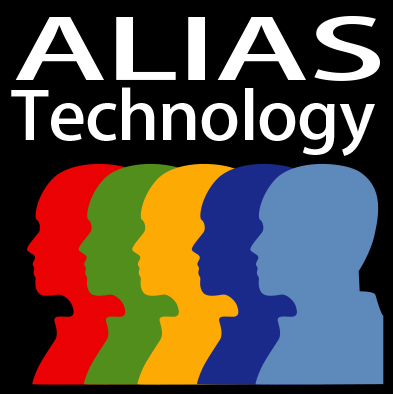 ALIAS Technology provides training in forensic linguistics. Our training programs are tuned to meet the needs of different segments who have to deal with language as evidence –attorneys, law enforcement and other investigators, our software users, and linguists. Our training programs enable consumers of linguistic evidence to be strategic and aware, while our training programs for providers of linguistic evidence enable them to be competent. degreed, graduate level linguists so that they become wise providers of forensic linguistic evidence as consultants in their own practices or in support of agency users.